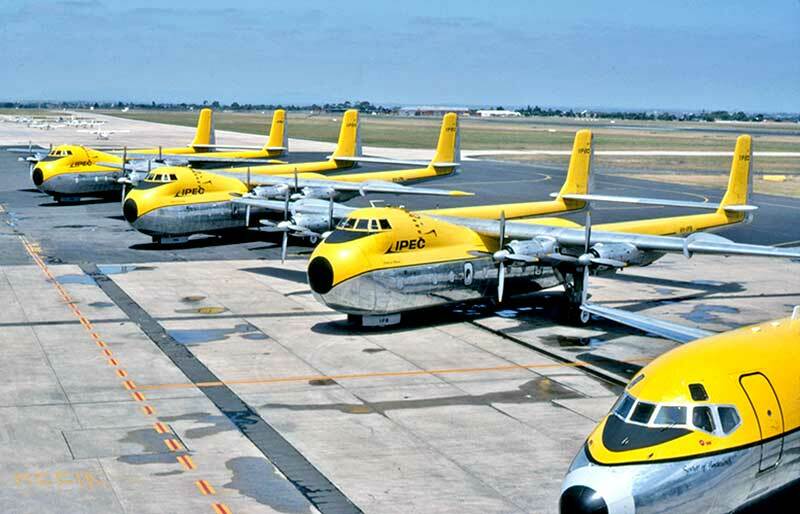 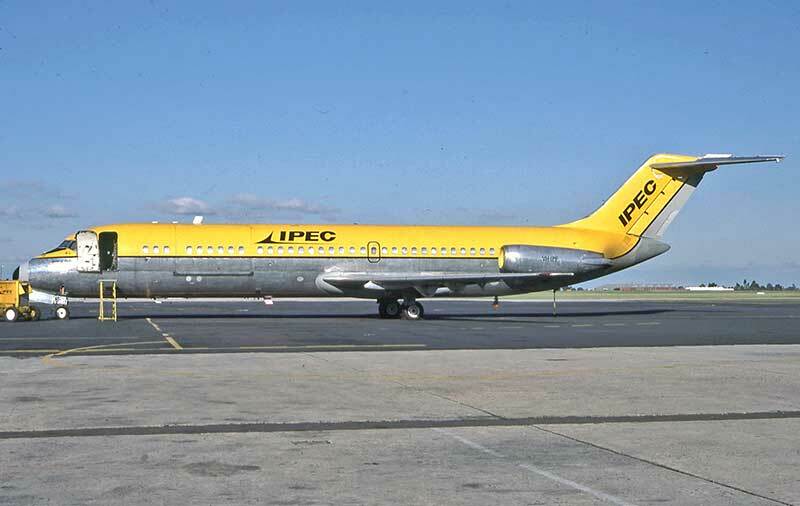 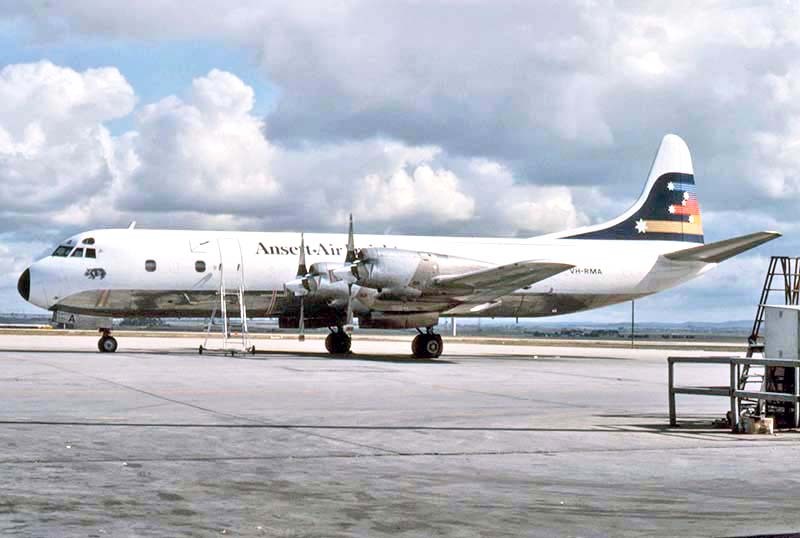 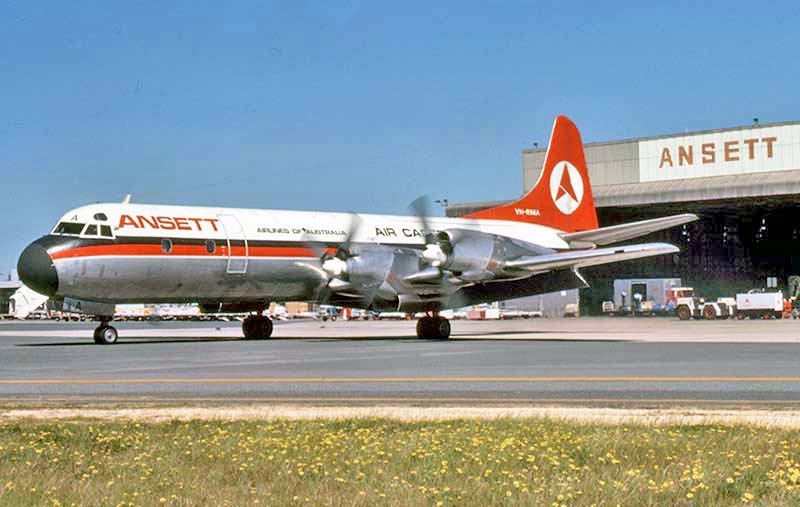 The memorable sight and deafening sound of the Ansett Air Cargo fleet of Lockheed L188A Electras. 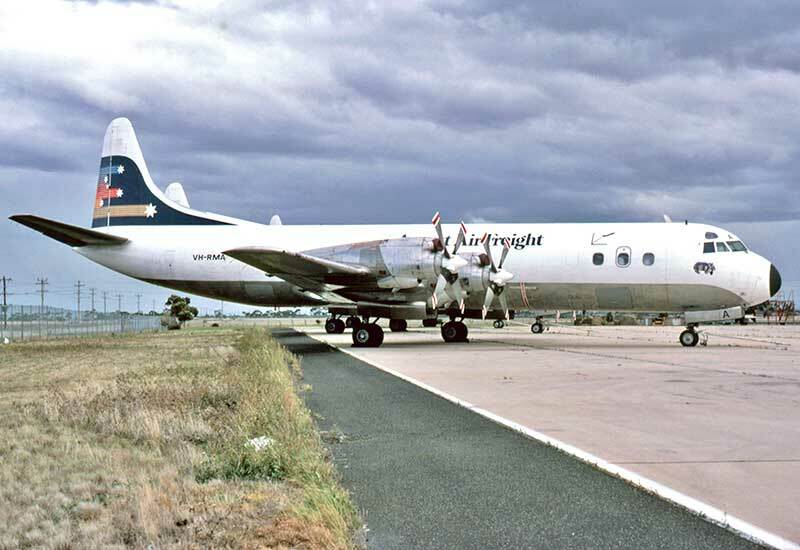 VH-RMA again, repainted in the new white Ansett Air Freight markings. 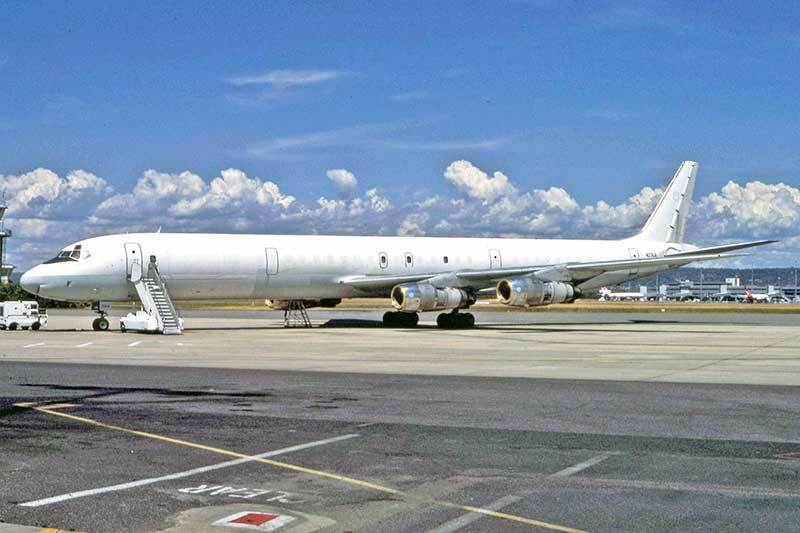 Remaining Ansett Electras VH-RMA, RMB and RMC retired at Melbourne Airport in April 1984 waiting to be sold. 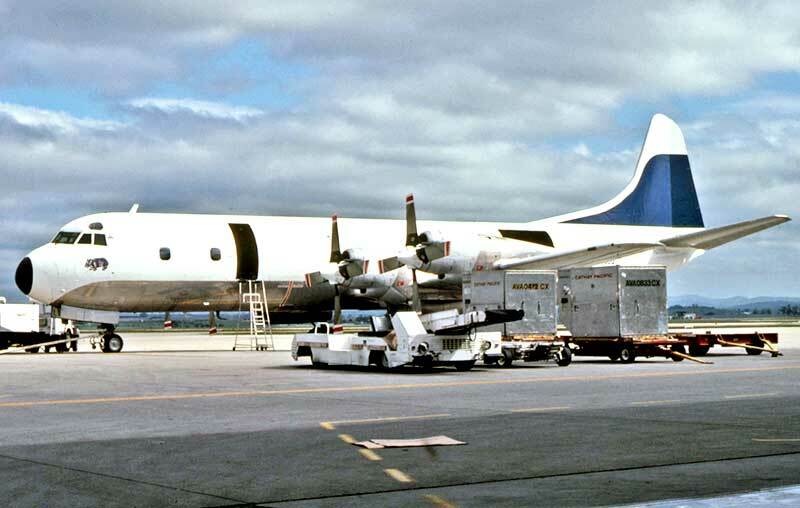 The night freighter pilots' Wombat Airlines emblem referred to the similar lifestyles of eats roots and leaves. 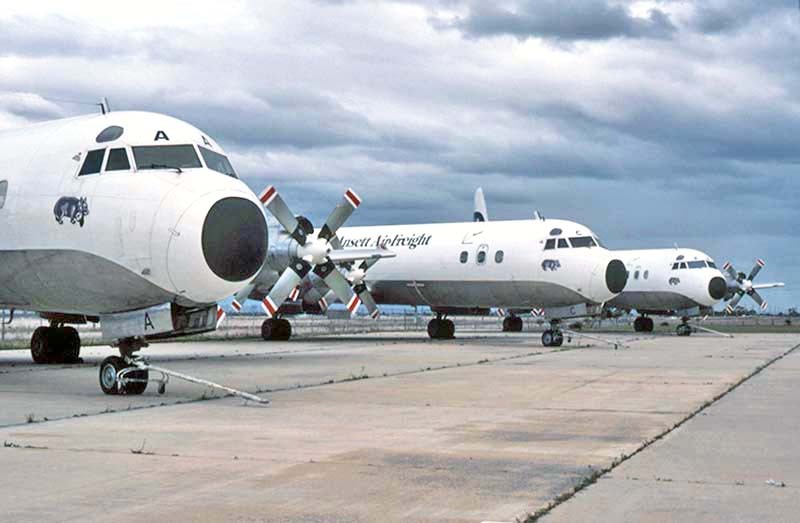 The trio were sold to Turbo Power International in USA and delivered in September-October that year. 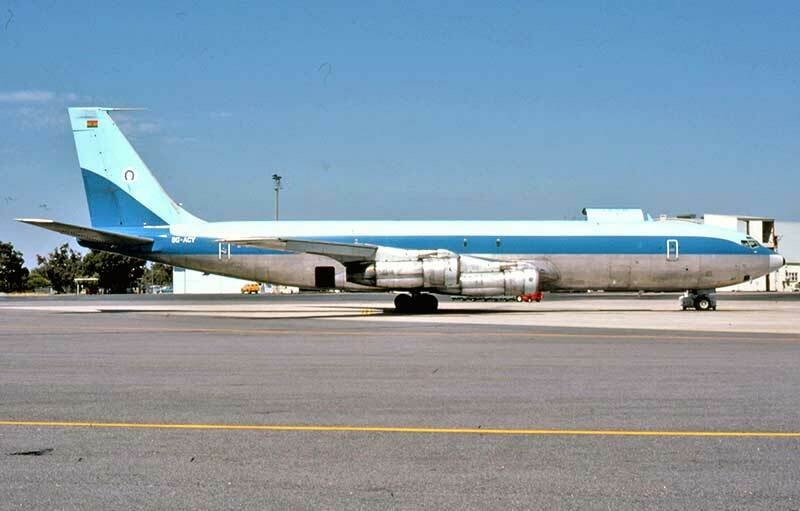 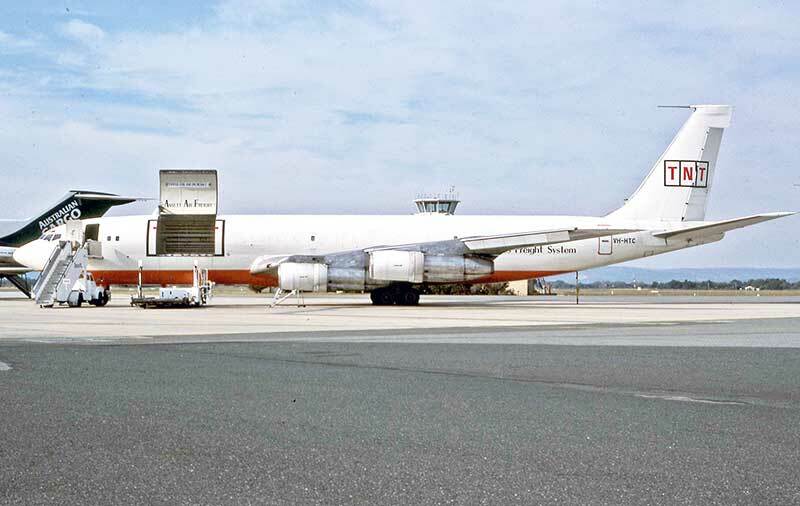 Transcorp operated this Boeing 707 freighter between Hong Kong and Australia as VR-HTC and later VH-HTC. 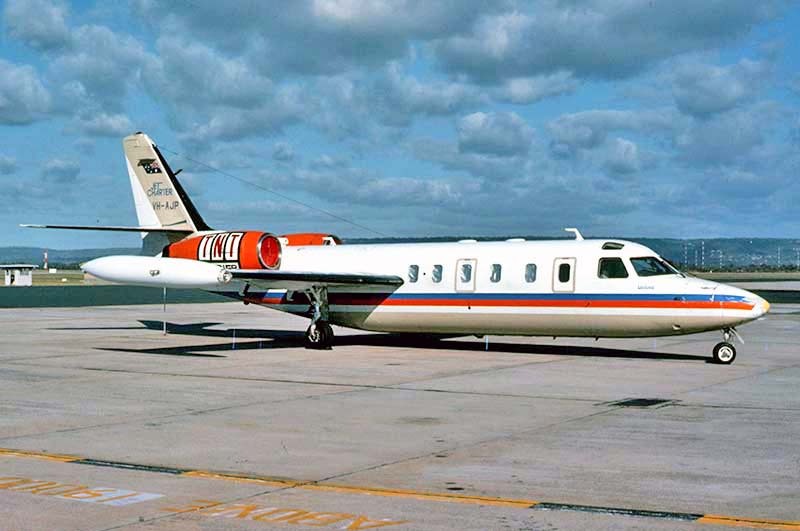 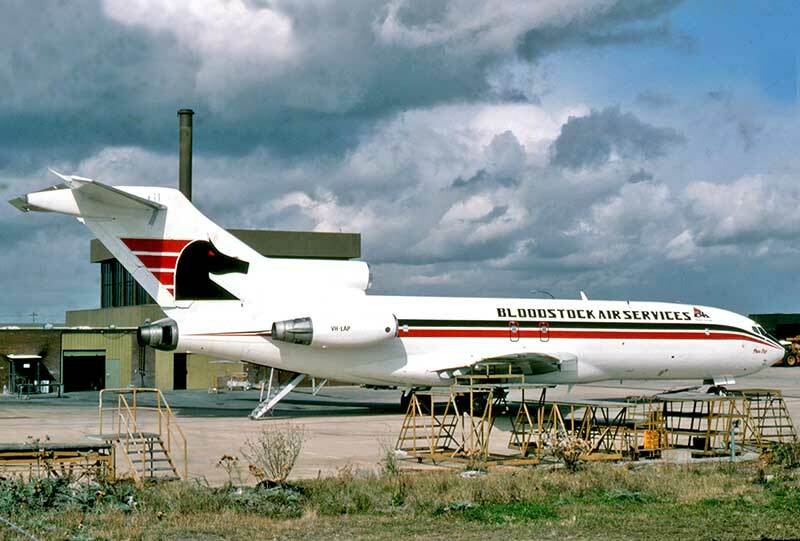 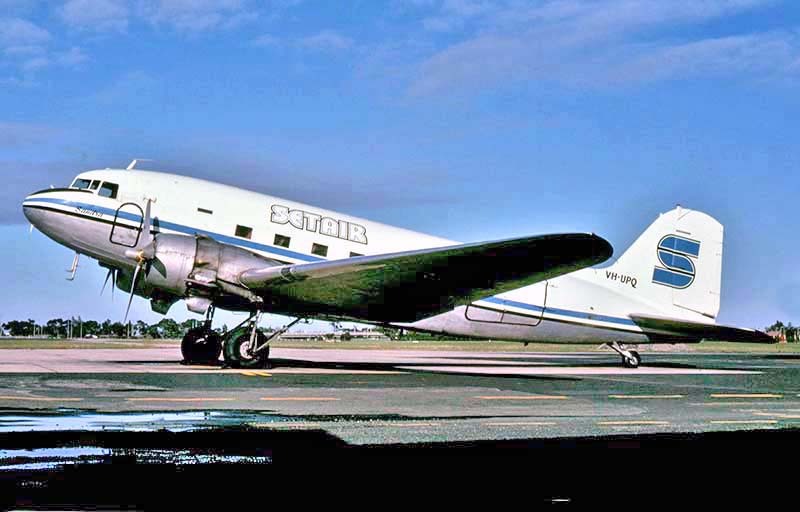 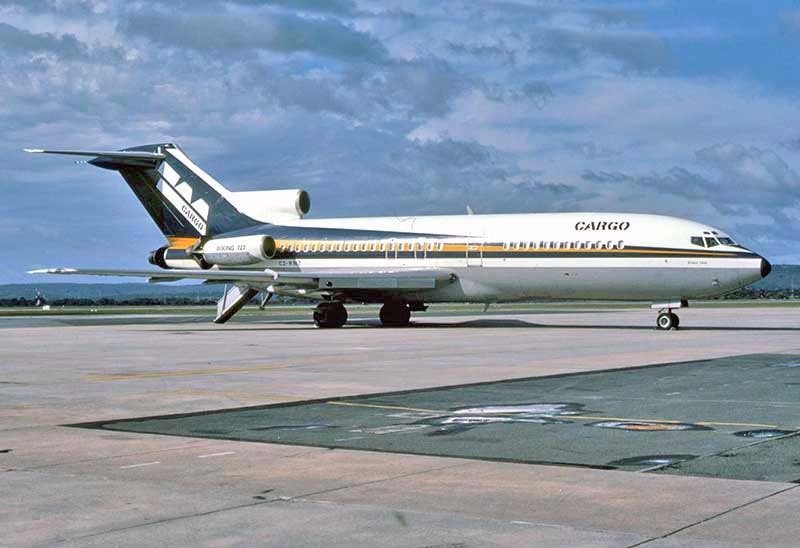 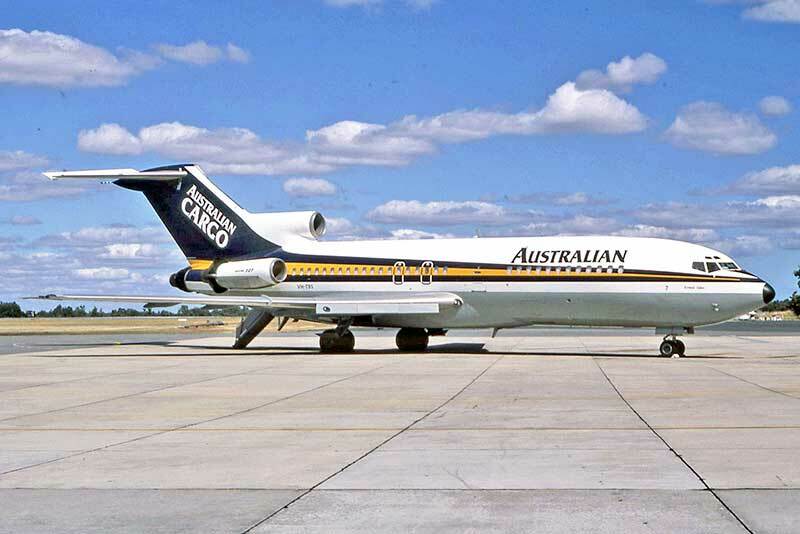 The short-lived Bloodstock Air Services was a Perth business planning dedicated race horse charters. 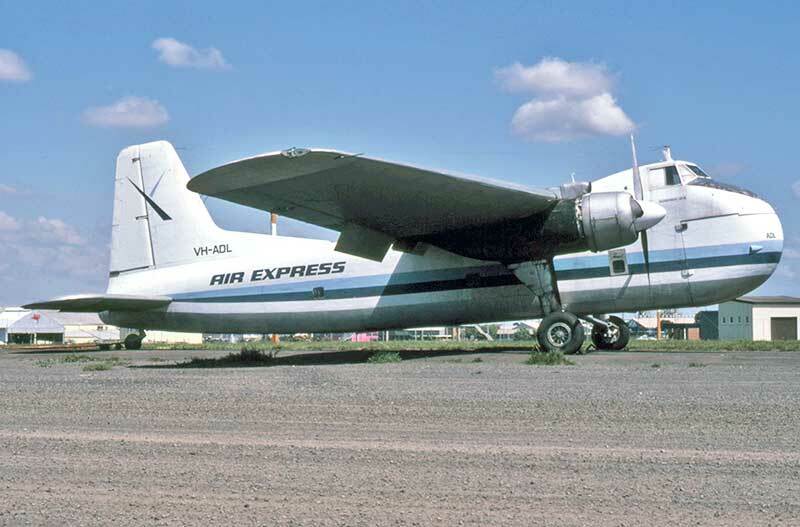 The IPEC -International Parcel Express Company fleet at Melbourne-Essendon in January 1984. 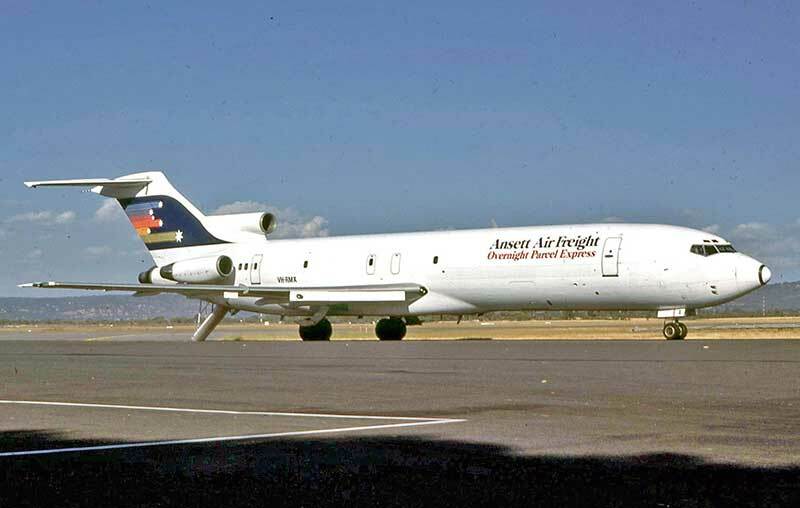 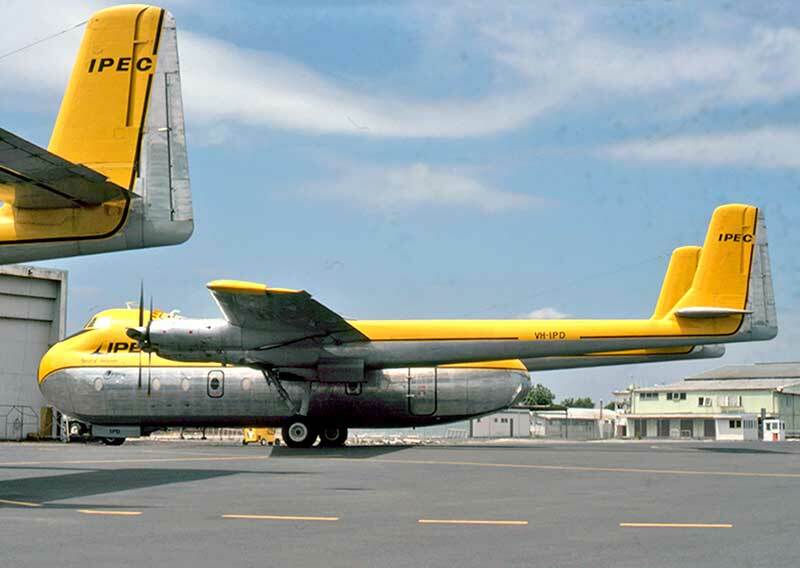 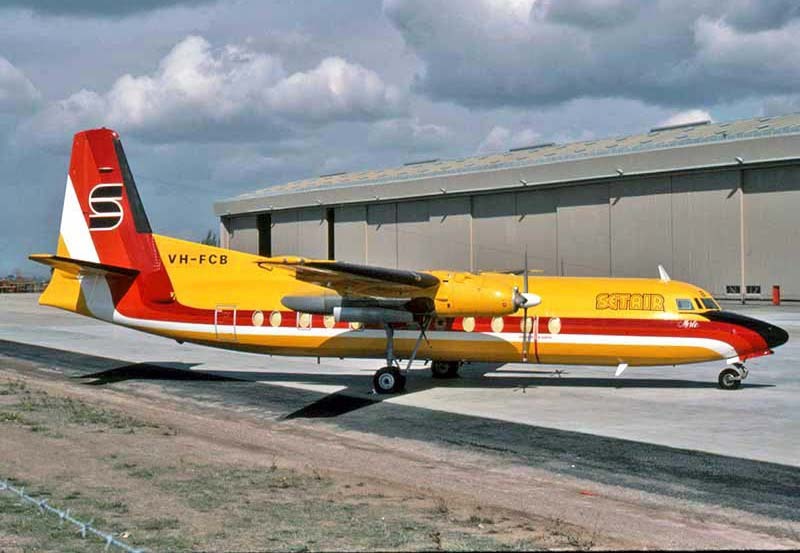 Setair leased this Air NSW Fokker F.27 in 1983. 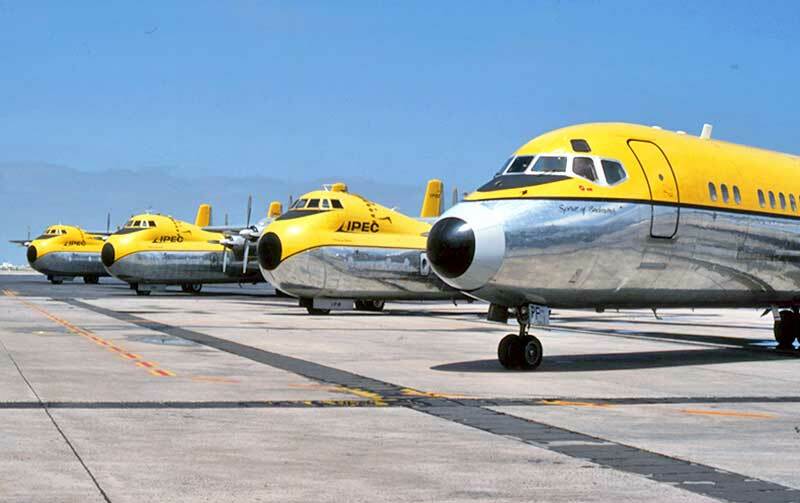 However the lease arrangements were to cause the collapse of the company. 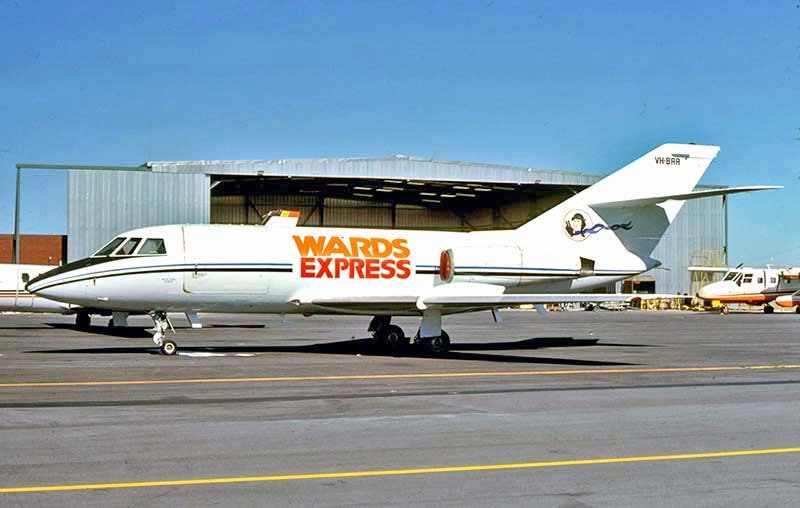 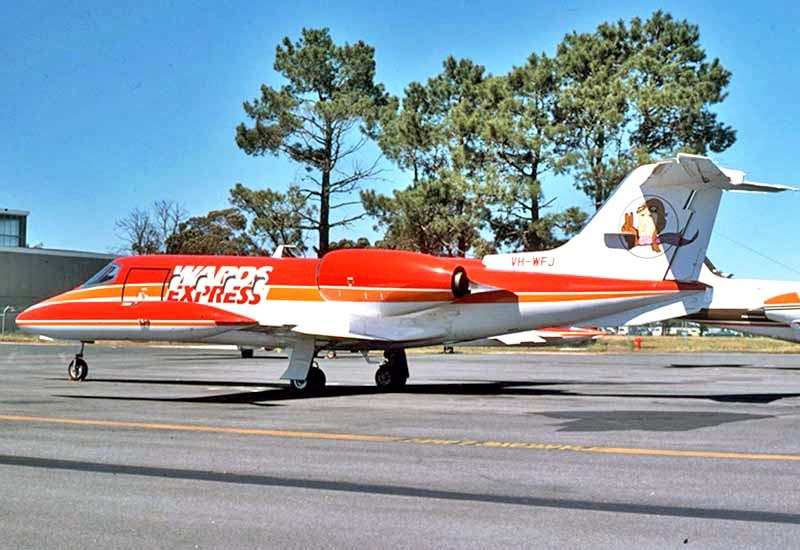 Wards Air Freight introduced Learjets on its Wards Express small parcel delivery services across Australia.